Start protecting your home, condominium or rented property today by clicking the button below for a free quote from D-Zone Insurance. When it comes to protecting your investments, there are few things more important than insuring your home. Homeowners insurance can cover your property and possessions if they’re damaged or destroyed by a covered loss. It can also protect your assets if you’re sued for your alleged negligence that caused an accident resulting in property damage or injury to another. It’s a good idea for anyone who rents a house, condominium or an apartment to have renters insurance. In fact, in many cases, it is required. Many renters incorrectly assume that their rented home is covered by their landlord’s policy, or that their possessions aren’t worth much. Renters insurance is crucial for those renting or subletting an apartment or house. Getting insurance on your rental, whether it is a apartment, single family home, duplex, condo or town home, can help protect you against theft, fire, flood or other similar events. Even if your landlord has their own insurance policy, renters are not covered under it and are not able to file claims for their personal belongings without their own renters insurance policy. Many people don't realize how important it is to have adequate renters insurance. While you may not be responsible for the cost of the apartment or house you are renting, your belongings are not cover without a policy and you don't have any personal liability protection in the event that someone gets injured in your home. Getting renter's insurance is the best way to protect your belongings and maintain financial stability in the event of a fire, flood or other event. 1. What is personal property insurance on a homeowner insurance policy? Personal property insurance coverage is most often listed on the homeowners insurance policy as “Coverage C”. Personal property coverage is a separate limit of insurance from the building coverage on the home itself. Personal property includes all your “stuff” including tables, chairs, clothes, dishes, electronics, jewelry, art work, etc. However, it is important to understand that certain types of personal property like electronics, jewelry, and art work have special sub-limits that limit coverage. It is important to be aware of these sub-limits and make sure that each meets your unique need. 2. What is renter insurance? 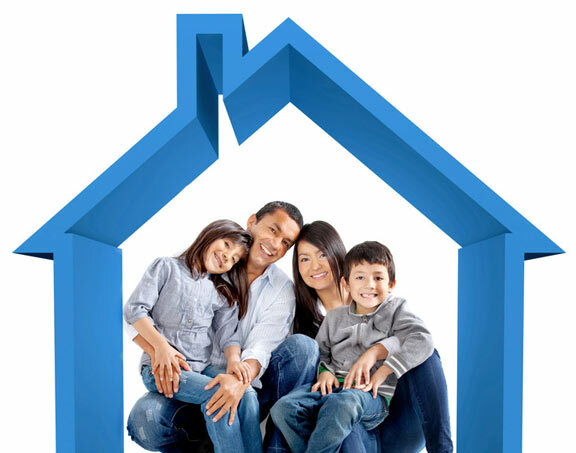 Renter insurance is an insurance policy built to suit the needs of individuals and families who do not own the property they live in. In many ways a renter insurance policy is similar to a homeowner insurance policy except the building coverage has been removed. However, there is still coverage for personal property and personal liability among other important coverage's. For the amount of insurance contained within a renter insurance policy the cost is very minimal not to mention with most insurance carriers you get the same multi-policy discount on your auto insurance as you do with a homeowner insurance policy. 3. What makes landlord insurance different from homeowners insurance? At the 10,000 foot view, the major difference between a landlord policy and a homeowner policy is that a landlord policy does not contain personal property coverage, (coverage for your stuff), on the standard policy. 4. What insurance covers my jewelry for theft? Theft coverage for jewelry is included on most homeowners and renters insurance policies. However, the coverage included on an unendorsed homeowners or renters insurance policy can be very limited. If you want to coverage a piece of jewelry for it’s true value than you need to do one of two things: Specifically schedule the piece of jewelry onto your homeowners or renter insurance policy. Buy a separate inland marine insurance policy for that piece of jewelry. In both cases you will need to get the jewelry appraised and give the appraisal to your insurance professional. 5. How much homeowner insurance should I have? This is one of the questions asked most often of insurance agents and the unfortunate answer is “It Depends.” There are so many factors that go into how much homeowners insurance you should have. In an effort to not get too technical on you I would say that as long as your policy in written and insured at Replacement Cost you are doing well. That doesn’t mean you have the absolutely correct amount but you are in the ball park. Determining the amount of homeowner insurance appropriate for your home is something I would recommend you leverage your insurance professional for. 6. How does escrow work with my homeowners insurance payments? You can escrow your homeowners premiums at any time through your mortgage company. Basically what happens is your pay your homeowners premiums inside your mortgage payment. The mortgage company collects the homeowner premiums and then pays the bill in one shot at the beginning of the policy every year. This has advantageous tax consequences as well as being relatively convenient. However, you can still change your homeowners insurance at any time to a more competitively priced carrier if you so choose. 7. Do I need boat insurance or is my boat covered by home insurance? In a very limited capacity some types and sizes of boats do have coverage under a homeowners policy. However, I want to stress the LIMITED COVERAGE. Hoping that your boat is covered under your homeowners insurance is not prudent. The proper way to insurance boat is a separate policy designed specifically for a boat. Most carriers have boat insurance. 8. What is NOT Covered on my Homeowner Insurance Policy? Let’s start by saying that every homeowners policy is different and every homeowners insurance carrier has different unique coverages… Basically there are NO absolutes here. That being said there are seven perils that are not covered on any of the standard Basic, Broad or Special form homeowners insurance policies and those seven perils include: 1) Ordinance or Law 2) Earthquake 3) Flood 4) War 5) Nuclear Hazard 6) Wear and Tear 7) Intentional Acts A couple of those including earthquake and flood you can buy coverage for. But the coverage does not come standard on most homeowners insurance policies. 9. How is condo insurance different from homeowner insurance? Condo insurance has some very significant differences from traditional homeowners insurance. The notable is how the Dwelling or Building is insured. When you purchase a condo you are purchasing the air in side the building. The majority of the structure is not yours. Therefore the insurance you purchase does not need to cover the entire building. Additionally when you own a condo you will most likely be part of a condo association. If there are problems with the building or public space you can be Assessed as part of association to fix damages. There is coverage on your condo policy for loss assessment. 10. Is debris removal covered on homeowner insurance policy? Debris removal is covered under most homeowner insurance policies. However, the amount of debris removal coverage you receive is going to vary depending on the carrier. Most often debris removal is going to be coverage within the Dwelling Coverage or Coverage A on your homeowners policy. This is important to understand and why ensuring your policy has adequate coverage is so important. Rebuilding your house could use up all your coverage. Then you’re stuck paying for debris removal out of pocket.